Even cheaper flights to USA: New York & Miami in 1 trip for €271! 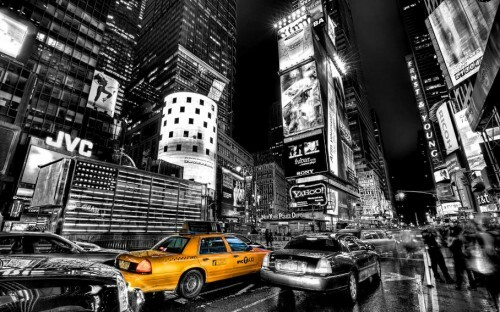 We have informed you about crazy deal to New York from Warsaw for just €307 but now we have something even better! 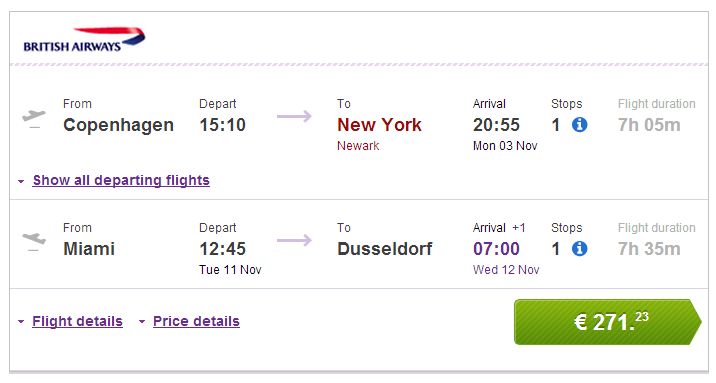 Multicity tickets Copenhagen – New York / Miami – Dusseldorf are available for only €271! This is perfect deal if you want to explore East coast of USA and take a bus, train or flight from New York to Florida. You can also return to other airports in Europe served by British Airways for slightly higher price. Travel dates are from from November 2014 till January 2015. Book via BudgetAir to get this awesome price (click on Show extra search options to enter return from Miami to Dusseldorf). « HIT! Cheap flights to Thailand: Bangkok for €363!